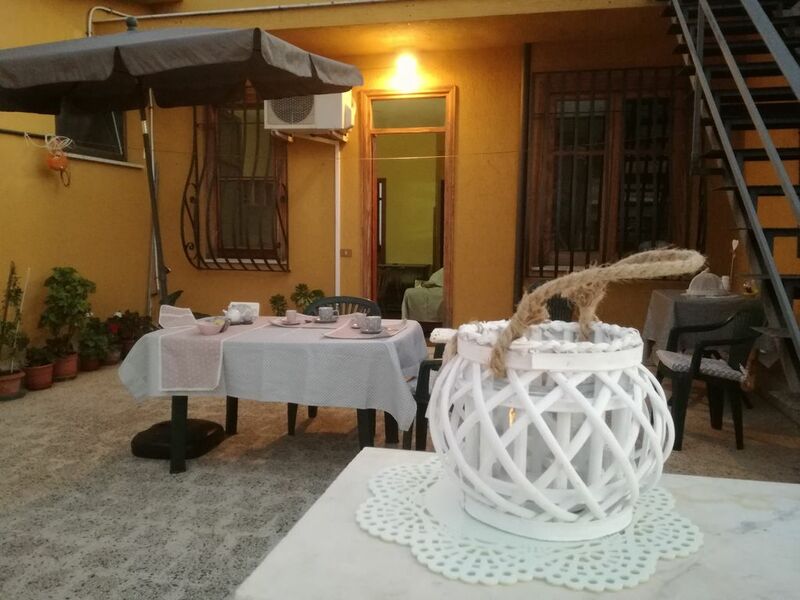 Located in a town in the province of Palermo at 5 minutes from the nearby Falcone-Borsellino Airport. The apartment is provided with many comforts (air conditioning, TV, washing machine, fridge). At about 2 km from the beach Magaggiari Cinisi, a short walk from Terrasini (important tourist center of Sicily) and not far from several towns of historical interest easily reached by public transport (Palermo, Monreale, Selinunte, Segesta,). The apartment has a double bed, bathroom with shower, kitchen and large terrace becomes the ideal place for dining or just relaxing. Bathroom with shower. shampoo provided, shower gel and hair dryer.